Award winning Nollywood Actress, Omotola Jalade Ekeinde, blessed us with her presence last week as she returned to the UK to collect her BEFFTA for Film Icon of the Year. This award represents individuals in Black, Entertainment, Film, Fashion,Television and Arts and was presented to Omotola by BEFFTA Founder, Pauline Long for her successful career in film. 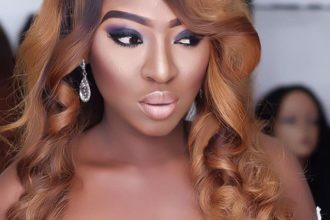 This Nigerian actress has played a considerable number of major roles over the last decade, from a prostitute to the girl next door and everything in between. Her first in, “Venom if Justice” in ’95 and most recent roles appearing in Last Flight to Abuja and Amina; both this year. “Omosexy”, as she is known to her fans, expresses to us her love for depth and meaning in film, how she has blossomed within the entertainment industry, how she deals with “haters” and her forthcoming music album. Besides acting and singing, Omotola extensively involves herself in charity work in her home country. As an activist at heart she works closely with Amnesty International and is noted as a UN peace ambassador, contributing her humanitarian works to the World Food Programme. This former model also launched her own NGO, the Omotola Ekeinde Initiative for Youth Empowerment, where her love of working with children, enabled 800 youths to unite for the Empowerment Walk and Convention. Omotola has so much more in the pipeline, with a newly released reality TV show, further philanthropic aspirations and an album launch around the corner, she is deserving of the award and definitely one to watch!